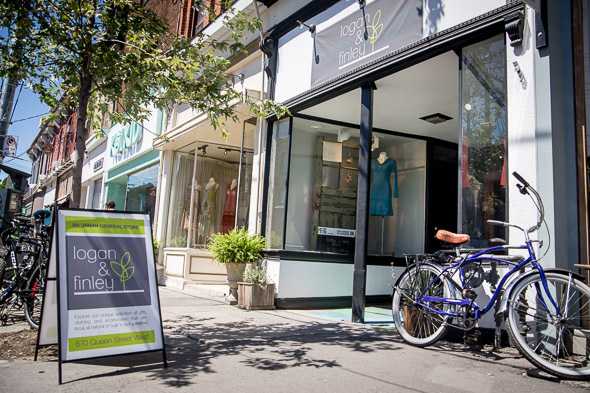 Logan & Finley is a store for the earth mamas on Queen West . Owner Julie Skirving makes sure everything that comes in and out of her shop is either "local, natural or built to last." 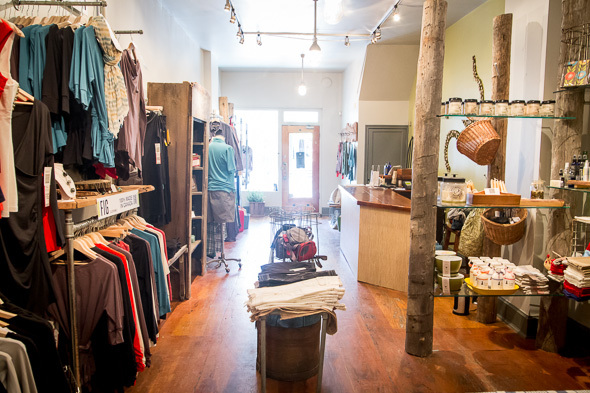 The shop reminds me of a half patio, half yoga studio, with a little stone fountain trickling in the back near the change rooms, and lightly-scented natural products and candles giving the air an outdoorsy perfume. The focus is definitely on fashion, but there's a whole lot else on offer, too. "I'm an outdoorsy person; I grew up outside. I've always wanted a store, and now the timing is right." While not everything is local, and not everything is 'natural,' Logan & Finley does carry an impressive assortment of products that fit both bills. Crawford Street Skincare products , for example, are made just around the corner, and the serums and balms she's chosen to carry are like magic elixirs dug up from a fairy forest. They include little pots of all-natural deodorant ($12) made with baking soda and coconut oil. She sells their repairing face oil, too, which is perfect for dry skin, and body lotion in scents like frankincense and sweet orange. 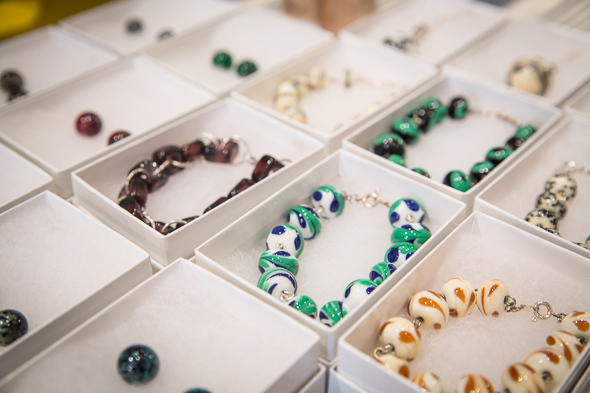 There's also a decent selection of jewellery on offer, highlighted by reasonably priced bracelets and necklaces. There's an earthy feel to most of them, but they're suitably understated and will appeal to those already drawn to the store's concept. One of the most useful, innovative items I spot for sale in the shop is the Abeego wrapper. It's made out of hemp, and it's used to seal over leftovers the same way as plastic wrap. They're made in Vancouver, and they're reusable. Skirving says she's had hers for a year and it's still in great condition. 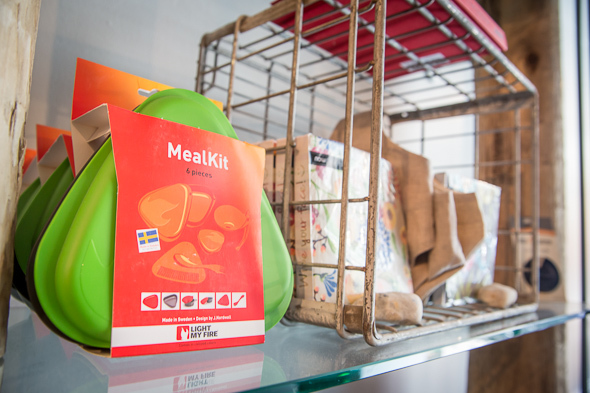 Other noteworthy items include soy candles and eco-friendly meal-kits (tupperware). 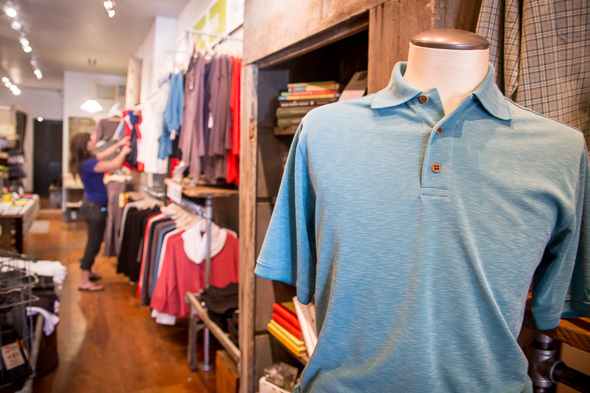 On the clothing side, there are racks of sustainable and local clothing for both men and women, Highlights for dudes include manly man shorts and golf tees, and for women, bamboo blazers and maxi dresses, mostly in wear-with-anything neutrals. 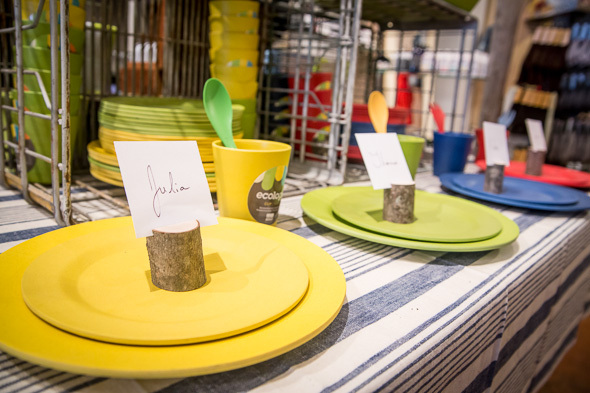 Most of the items have a utilitarian quality about them, but that's in keeping with the outdoorsy theme that informs much of the store's inventory. The shop just opened its doors, and Skirving, an aggressive ambassador who is 100 per cent behind her own mission statement, is bringing in new products all the time. In time, she'll have juice from the Feel Good Guru , all natural sunscreen and bug spray, and natural yoga mat spray (talk about night market). If you love Mother Earth or you're a locavore, Logan & Finley is one to check out.